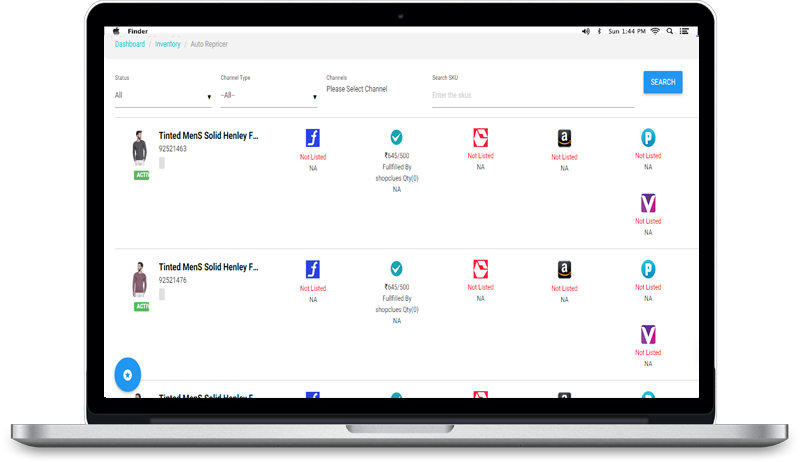 Marketplace business is open for any seller to list and start and selling his product in a compliant manner. Hence for standard and branded products, we often find that there are multiple sellers and/or multiple buying options to choose from. With increasing competition on these products, every seller has a common objective to stay on the “Buy Button” and get maximum sale. And again with thousands of products and multiple marketplace channels, it’s manually challenging to keep monitoring and refreshing the “Buy Button” on every product page and then changing the price again and again on the seller panel. 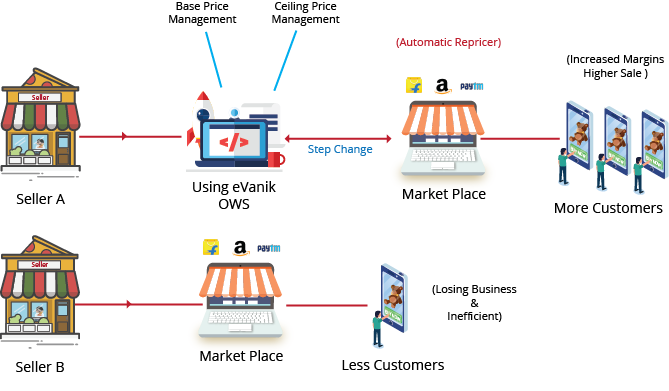 eVanik’s centralized multi channel ecommerce software and inventory management software has a built in “Automatic Repricer” tool. All one needs to do is to set the base and ceiling price of the products one time and the system will keep changing the price ahead of competition to ensure that the seller is always on the “Buy Button”.